As Denver chef Cindhura Reddy will tell you, different pasta shapes require different doughs. As adults, we’ve consumed enough pasta to know there’s a reason that macaroni is the ideal vessel for a melty cheese sauce, and that is inarguably because the elbow can gather enough cheese in its pocket to maximize the sauce-per-bite ratio. It’s just math. But here we are, hundreds of pounds of pasta later, the majority of us entirely unaware that there’s more to pasta pairings than sauce and wine. 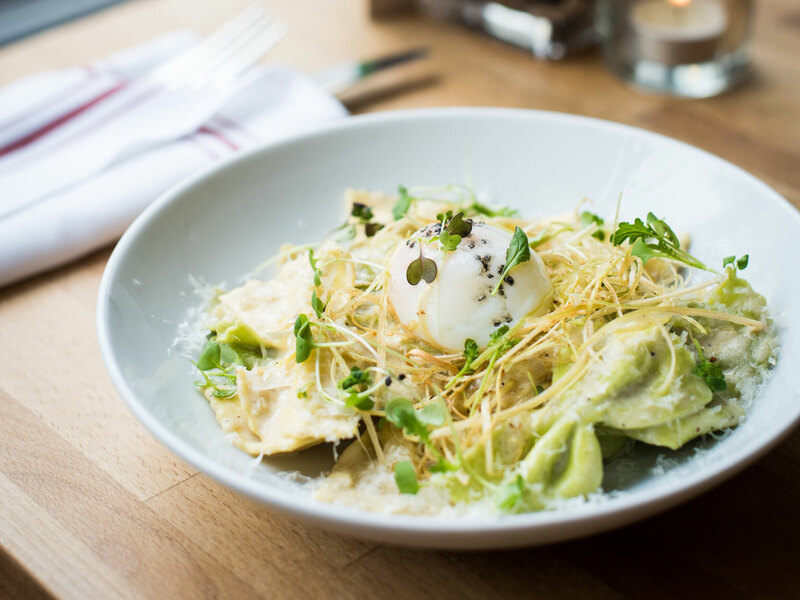 All of the pasta dough at Spuntino is made from some combination of flour (“00”, all purpose, or semolina), eggs or egg yolks, salt, olive oil, and warm water—barring any infused or flavored doughs. Reddy doesn’t use any electric machines save for the mixer, so she’s doing all of her dough by hand. (She and her staff have very strong shoulders.) “Being that hands on with it really helps you to know how the dough is supposed to feel when it’s ready. Like in baking, it’s important to know what the dough looks and feels like when it’s correct, even if you follow a recipe down to the gram,” she said. “It’s dependent on the dough, but the result should be smooth, without any air pockets or chunks of flour. If it acts properly when you’re actually forming it, it’s right.” Below, five pasta variations and the dough ratios that make Reddy’s pasta sing like Pavarotti in Act IV of La Bohème (may he rest in peace). 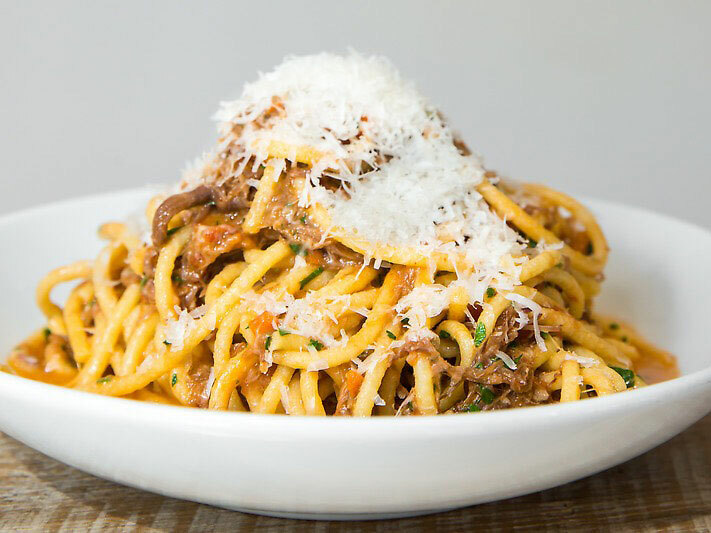 Bigoli is a Venetian strand pasta similar to spaghetti that is extruded through a hand-crank called a bigolaro.